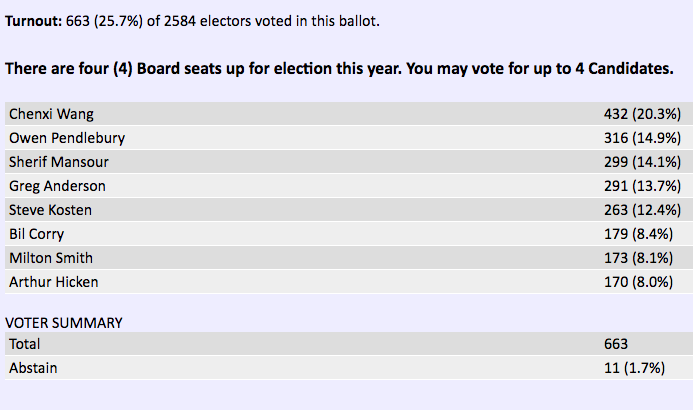 To listen to the newly chosen board member interviews, please visit our Election page. Come January 1, 2018 these four new board members will begin their two year term. They will be joining our existing board members, Matt Konda, Andrew van der Stock and Martin Knobloch. Get your talks ready for OWASP AppSec Europe 2018! We are glad to announce that the 2018 AppSec Europe Call for Papers and Call for Training is now open. This year the special theme of OWASP AppSec Europe is: Usable Security. We ask for you to think about how security is affected by the human aspects of users, developers and administrators? How do we design, deploy and manage a security system so that it will be used consistently and properly? What lessons can we learn from past success (or not-exactly-success...) stories in which the human factor played a major role? To ensure the best talks available are presented at AppSec Europe blind reading is being incorporated as part of their process. This means that names and job titles will be removed when the paper abstract is being reviewed. All speakers will be given access to speaker mentorship. The submission deadline is January 5, 2018. Please submit your proposal through EasyChair and encourage those you want to learn from in hands on training sessions or 45 min. talks to apply as well. We are sad to share that Matt Tesauro has moved on from OWASP to new challenges. Matt has been an active community member and Project Leader for over 9 years--including a stint as OWASP Board Member 2011-2012 and a staff member since July of 2016. While we are sad to lose Matt as a staff member, we hope to see him prosper in his new position as a Senior AppSec Engineer at Duo Security and look forward to collaborating with him for many years as an OWASP Project Leader and community member. At OWASP, we were thrilled to sponsor our Second OWASP Code Sprint 2017. Our partnership with students and universities to grow OWASP Projects was a success since we participated in the GSOC programs. We received more than 29 proposals. We were able to select 13 students who worked on a diverse range of application security projects. Below, we highlight the activity. OWASP also provided an additional incentive and had a OWASP Raffle for an APPSEC Ticket and Funding Initiative to award on lucky student for great work done. Great work from Anshul Singhal by adding dynamic report generation from the database with user selected template, and code refactor to separate the UI into a separate React app from the backend. Anshul also added report generation currently still working on code separation. Ansul is very committed to complete the work outside the program ifwasthat is what it takes. Feedback from Anshul: OWASP Code Sprint was a such a great experience. Viyat and Abraham both helped me a lot during whole duration. I learnt a lot in working with OWTF. Thank you OWASP for this opportunity. Pavlos Zianos worked successfully on dynamic provisioning, launching and networking of new challenges without any blocking io calls, refactored existing codebase to accept modular drivers for both docker and vagrant provisioning, flexible networking and service discovery. Feedback from Pavlos: OWASP Code Sprint has been a very valuable experience for me mainly because I got to bootstrap the project which gave me insight into issues that I had never experienced before. Spyros has been a very good mentor all this time. Eric Anderson successfully accomplished a variety of difficult assignments while contributing to OWASP’s DefectDojo Project including: feature development, debugging, and bug fixes. His assignments required professional caliber skill and dedication to complete. We are very grateful for his contributions which improved DefectDojo for our entire community. For technical details, all the information is in our public issues tracker found here. Feedback from Eric: OWASP Code Sprint was an overall a great experience on getting an idea of how certain jobs and processes of the Cybersecurity field work and function. Learning how to use Django and Python in a professional manner was nice and cool. Rutuja Surve successfully built web server log analysis functions for security. A minor portion of the effort was to include basic statistical metrics and evaluations. The major portion of the effort was to use machine learning, particularly clustering, to evaluate the log file with a view towards anomaly detection. Some of the analysis was based on intelligent thresholds, and some was based on pure clustering analysis. Feedback from Rutuja: OWASP Code Sprint opportunity to learn a lot about several machine learning algorithms in Scikit Learn for analyzing web-server logs. Mentorship is excellent. Heeraj H Nair successfully added code examples for python flask and python django. Heeraj helped us update the current knowledgebase and iterated over the items to improve them. He delivered fully working apps for both code languages so we could effectively test the quality of the code with both manual testing and code reviews. Details can be found here. Wojciech Reguła successfully created the Ruby on Rails code examples and fixed an expert team of RoR to also help with the review. Created an RoR app for us to test the code examples. Details can be found here. Feedback from Wojciech: Absolutely amazing program! I learnt a lot about securing application from the other site (currently I'm a pentester and student😊). OWASP Code Sprint gave me an opportunity to test my programming skills, writing real production code, be a part of the most used security knowledge base in the future 😉 and get to know very cool people like Glenn and Riccardo! Mentoring ! Nikhil R successfully added +12 features, shellcodes (OSX also) and obfuscating method. commits are available in here. Great work performed! Feedback from Nikhil: The project is perfect for learning about the win32 api and writing custom shellcode which I think would help me immensely. In the second part of the project I worked on writing more functional shellcode for windows with abilities to download and execute files. I learned a lot about writing shellcode for windows which I feel is a quite an achievement by itself apart from the open source contributions. Anamika Das successfully implemented a new add-on for field enumeration. Its nearly there, just needs a few minor tweaks in order to be merged. Details can be found here. Feedback from Anamika:It is a great opportunity for us to be a part of a well known organization - OWASP! My mentor Simon and Ricardo were great enthusiast! Without them, the project wouldn't have accomplished. Honestly, I have learnt a lot from them especially from Ricardo. It would be great to see more projects in security. Also, it would be great to have research based project as well (maybe not funded). Blay Kevin Cedric Achi successfully completed and continues to work on the scope of the project deliverables. Feedback from Blay:OWASP Code Sprint program is amazing because it helped me to work a lot, learn new things and work with amazing, passionate and influential people (Simon and Ricardo 😊). Also, it is important for student to work sometimes on Community projects. Mohit Anand: Successfully added gamification of bugheist.com by providing badges(Gold,Silver,Bronze), . User profiles would include information regarding types of bugs found., . Comment add without refresh., . Comment delete without refresh., . Added confirm before delete comment., . Comment edit without refresh., . Added cancel button when editing., . Tagging user in comments., . Added toggle to issue status button., . Updated total number of bugs., . Tagged user would be notified through email, . Reply to a comment, . Add chart in domain, . Follow/Unfollow a user, . Upvote an issue, . Added feature to send notification when an issue is liked., . Added feature to send notification when someone follows a profile., . Search users using "user:"., . Search issues using "issue:"., . Search domain using "domain:<domain_name>"., . List of users following you., . List of users you are following, . Model of likers, . Added regex for domain validation during domain edit ( #562 ), . Empty description and domain is handled while editing., . Added pagination buttons on top of pages and Added security against XSS attack (#563). Feedback from Mohit: My first open source experience. Learnt a lot about Django and other technologies. Would love to keep contributing to the source. Raghav Jajodia: Successfully added a search feature for issues/bugs, Add a search feature for users and domains, Improve design for allauth pages, Add copy-to-clipboard feature, Improvements to avatar upload, Pagination in required lists, Design of header, Integrate search to header, Styling the lightbox plugin, Add tiles for labels, Add Open and close issue count for each user, Make flash messages more elegant, Make issue update [Open <=> Close] asynchronous, Make issue edit asynchronous, Add tabs in /domain, Allow Search by labels, Improvement in Check-for-duplicates, Monthly summary on stats [Monthly User Signups], Popover for user details on activity-strip, Show issue type distribution in /domain, Add Pie-chart for issue distribution in /stats, Add ability to switch domain to another domain, Update the wiki with some internal code-style guidelines, Revamp comments, Add feature to "Bookmark" issues, Listing bookmarks, Listing Followers and Followings in tabs (/profile), Add option to remove a bookmark, Fix Featured section. Feedback from Raghav: I had a really amazing experience with OWASP and Bugheist. My 3 month long involvement with Bugheist improved my understanding of Django and Cyber security. I would love to see BLT grow as an open source project. We could further improve the repository by selectively opening proper issues and improving the PR reviewing method to prevent introduction of bugs and poor quality code to the repository. Siddharth Goyal:Responsive cards for errors, Added onto search functionality for labels, Examples for all types of errors using added label search, Implementation of Footer (Desktop), Implementation of Footer (Mobile), Functionality to check for bug domain in report, Added graph for stats on number of bugs reported, Bug reporting on mobile, Work on activity section., Pagination for company scoreboard, Pagination of domain specific issues., List bugs by type for user profiles, New templates for emails, Color fix for charts, Issue and domain wise duplicate check, Floating Navbar for desktop/mobile, Label specific and open/close based listing of issues for users with pagination, Custom 404/500 pages. Feedback from Siddarth: The OWASP Code Sprint 2017 program has been an absolute dream for me. The work and other people in the project have made a huge impact on my knowledge and understanding of Django, front-end and open source in general. I would love to further contribute in BLT. Also thanks to OWASP for this awesome opportunity. The September Operations Update includes vital information about OWASP's infrastructure initiatives, project activity, and Chapters. Read it for an overview of what is happening in OWASP. Their memberships did not auto-renew. To address this we have opened a NEW 2017 OWASP Board of Directors election. 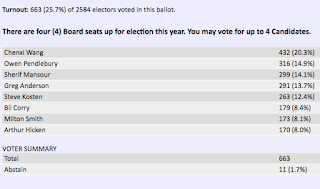 In order to ensure fair results, the previous vote tallies have been zeroed out for this totally NEW ELECTION. Whether or not you already voted, please take a few moments to cast your vote and help decide the future direction of OWASP! If you are a member in good standing with voting privileges, you should receive an invitation to vote in the election by the end of the day today, 10/19/2017. If you do not receive an email, but believe you should have, or have any other issues related to the election, please email election2017@owasp.org. Every year the community gets the opportunity to tell the Board of Directors where they believe we should invest by giving input into the OWASP Annual Budget. This is the time that you can ask for funds beyond the grant amount 2k per year for resources to accomplish a particular goal for your chapter or project. You can also ask the board to implement funded initiatives, additional events, or anything that you believe will make OWASP more successful in 2018. The semi annual Leader Workshop covered a lot of ground this year. The first half was devoted to our ongoing plans upgrade the infrastructure at OWASP. Since the meeting we have learned of a significant problem with our Association Management System (AMS) Migration. Correcting this issue is our largest concern at the moment. The second focus we have is our transition from mailing lists to Discourse. Once on Discourse you will be able to interact with the platform solely through your email if you wish. The second half of the meeting was devoted to hearing what our Leaders need from the organization. We asked you to fill out charts listing what support is needed, what concerns need to be halted, and what has been working well for you. Overall we learned that our community is worried about vendor influence in our organization, but that the community was pleased with the OWASP Project Summit, Project outputs, and the continued efforts of the staff. Importantly we heard that Leaders see a deep need for funding projects, for increased infrastructure, and for better resources such as updated templates in more formats, swifter project start times, and shared resources such as access to staff recommended technical writers and graphics. You can watch the meeting here, and discuss your thoughts either on the OWASP blog page or on the YouTube comments section. An invitation to the local community and attendees of Global AppSecs to join us for FREE security training in the days before the AppSec Global Conference, the AppSec USA 2017 Developer Summit was a huge success, drawing unprecedented crowds! 180 participants learned about threat modeling, API vulnerabilities, and hacking iOS from 4 trainers in 3 sessions held over the course of 2 days. While our training is performed by volunteers and primarily aimed at developers and new AppSec professionals, everyone is welcome and even seasoned pros might learn something new. Look to attend or teach at our next Developer Summit in Tel Aviv, details coming soon! We are glad to announce that the 2018 AppSec Europe Call for Papers and Call for Training are now open. The OWASP AppSec conference is Europe's premier venue for web applications leaders, software engineers, researchers and visionaries from all over the world. AppSec Europe gathers the application security community for a 5-day event to share and discuss novel ideas, initiatives and advancements in AppSec. The 2018 conference will take place in Tel-Aviv from June 17th to 21st 2018, with papers/talks presented on 20th and 21st June and training from the 17th and 18th. The special theme of OWASP AppSec EU this year is: Usable Security. How is security affected by the human aspects of users, developers and administrators? How do we design, deploy and manage a security system so that it will be used consistently and properly? What lessons can we learn from past success (or not-exactly-success...) stories in which the human factor played a major role? The submission deadline is January 5, 2018. Please submit your proposal through EasyChair and encourage your favorite trainers and speakers to apply as well. It is time again for us to conduct our annual Chapter health check. It will go forward from 11/9 and take several weeks. Normally the health check entails Tiffany, the community manager, checking the wiki page of every Chapter to make sure that they have made the minimum number of meetings (each chapter must host a minimum of 4 meetings to be considered active and all meetings must be posted on the wiki to be considered open) and following up with chapters who did not manage to make the minimum number of meetings or seem at risk. During this time she offeres support about building chapter attendance, running a chapter, and raising activity as needed. However, this time will take a little longer as we will be reaching out to each Chapter in alphabetical order to ensure that the Chapter's information has made the AMS transition intact. To streamline the process, please make sure that your wiki page is up to date with all of the meetings you hosted this year. This is a great opportunity to reach out with questions about activities, budgets, or other matters.